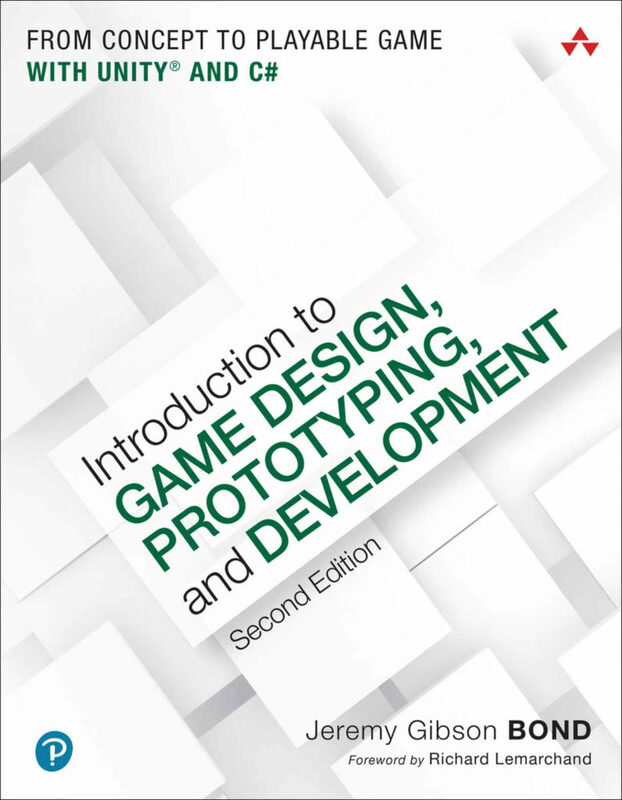 Welcome to the website for Introduction to Game Design, Prototyping, and Development, 2nd Edition. Here, you will find a page for each chapter of the book that contains any additional information or materials you need, including demo software, lecture slides, and starting files for some of the later tutorials. All code and tutorials have been updated, adding numbered steps and colored syntax. Unity has changed significantly in the years since 1st edition, and everything is now updated to Unity 2017. The final two tutorials from the 1st edition have been replaced with one that is much better (it’s a remake of the first level of The Legend of Zelda for NES, with the addition of a grappling hook!). A few things that readers and friends had pointed out as confusing have been simplified and clarified. In the menu at the left, there are sections for each of the three major parts of the book. Click on a part name to see all the chapters that it contains. There is also a section for the first edition of the book that includes updates to allow you to use the first edition with Unity 5. Thank you very much for purchasing the book. I sincerely hope it helps to accelerate your progress towards game design and development. If you have any comments or questions about the book, feel free to use the Contact link to send me an email about it.